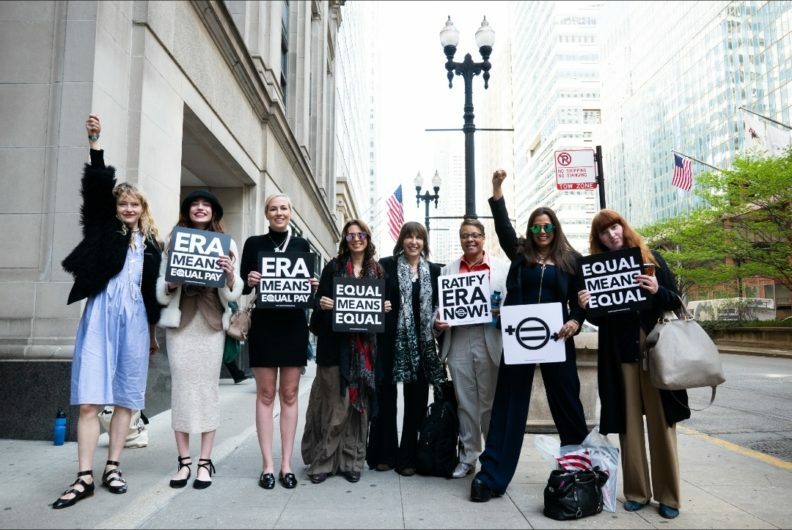 The time could not be more important to unite under one goal – ratification of the Equal Rights Amendment and the elevation of American women to equal status under the law. Second class status under the law correlates with second class justice. Evidence of that second class treatment was highlighted in last week’s events and hearings. It is critical to provide women with a legal foundation to stand on, as we face a continual assault from the status quo and a refusal to acknowledge the serious realities American women face every day in dealing with violence. Please listen to the important message from EQUAL MEANS EQUAL’s legal counsel and impact litigator, Wendy Murphy. Don’t let injustice get you down! Make it get you UP! The present moment is an excellent opportunity to highlight the importance of the Equal Rights Amendment! Host or join an ERA phone banking party and make calls to candidates and legislators and urge them to support equal rights for all! 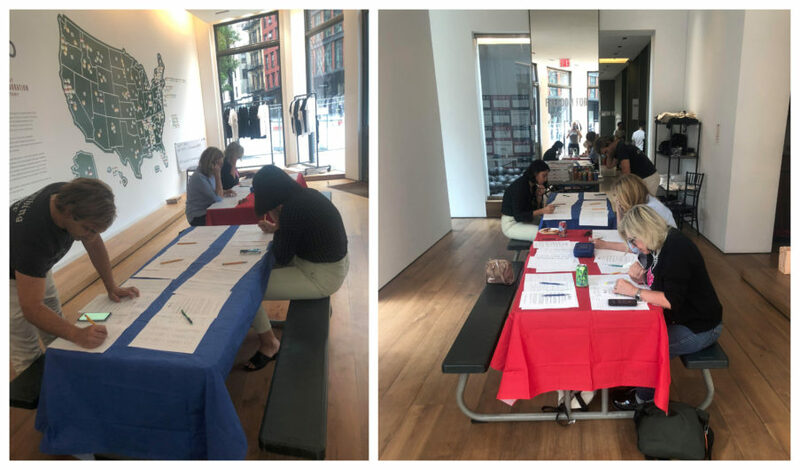 Last week, EME’s Natalie White held a phone banking pizza party for the Equality Pledge in partnership with “For Freedoms” at their NYC location on Gansevoort Street. Over the course of just a few hours, volunteers were able to reach out to hundreds of state legislators and their staff. It was a fun and inclusive way to engage both in activism and with the legislators themselves. Some candidates spoke on the phone with us for up to 20 minutes about the need for ERA! Or please host your own phone banking party! EQUAL MEANS EQUAL can send you all of the materials you need to have a fun and impactful phone banking party of your own. YES! I WILL HOST A PHONE BANKING PARTY FOR THE ERA. And if you can’t host a party or make it to one, you can still help! Sign up here to follow-up on the Equality Pledge from the comfort of your home – someone will be in touch with you soon with more instructions. EME’s Artistic Director, Natalie White, gave her first of a series of lectures as part of the class at the School of Visual Arts. Students from all art disciplines will be creating work in service of the Equal Rights Amendment and our struggle to complete its ratification! We are so excited to team up with SVA and their students to change the course of history and finish the completion of the ERA through art. Stay tuned to see the results!